Surupa Gupta, Associate Professor in the Department of Political Science and International Affairs at Mary Washington University, explains that "While Modi has repeatedly spoken against rising protectionism at international venues, his domestic messaging and actions have been far more nationalist." In February 2018, India regained its position as the fastest growing large economy in the world, growing at more than seven percent for three preceding quarters and surpassing China. However, despite support for sub-regional integration in the Bay of Bengal region, the prospect that India will lead the charge on regional integration or even play a central role in efforts in Asia overall, remains dim. Several constraining factors, many of which have to do with India’s domestic political economy, make such a leadership role unlikely. Pushback from interest groups, India’s federal structure and the ruling party’s nationalist rhetoric are among several that shape India’s approach to economic liberalization in general and regional integration in particular. Every two weeks I travel from Lahore, where I teach Urdu literature at a university, to my village in Okara district of Punjab Province. The conversations, the political debates, the infrastructure of the cities disappear in the three-hour bus journey. I grew up here and my parents continue to live here. Most Pakistanis in my village and in thousands of such villages live in grueling poverty, living off subsistence agriculture and working as laborers. It is the other Pakistan, where no nonprofit groups open their offices because we have no air-conditioned meeting halls, where no functioning hospitals are built because the doctors who come from middle- and upper-middle-class families won’t come to work here, where you don’t find clean drinking water because no health and sanitation worker ever shows up and where few schools are built — and even then, with little concern toward the quality of education — because most of us remain condemned to working as farm hands and laborers. MOSCOW, July 16. /TASS/. Taliban (a radical movement outlawed in Russia) is present in most of Afghanistan’s provinces and controls more than a half of its territory, Russian president’s special envou on Afghanistan and director of the Russian foreign ministry’s second Asia department, Zamir Kabulov, said in an interview with the Kommersant daily on Sunday. "Taliban is very integrated into Afghanistan’s military and political life. It controls more than a half of the country’s territory by now," he said. According to the Russian diplomat, Taliban is present in most of the country’s provinces and is a key force even where an official administration is present. "As a matter of fact, they establish parallel power bodies, including a court system Afghan people have more confidence in than in the official one," he noted. 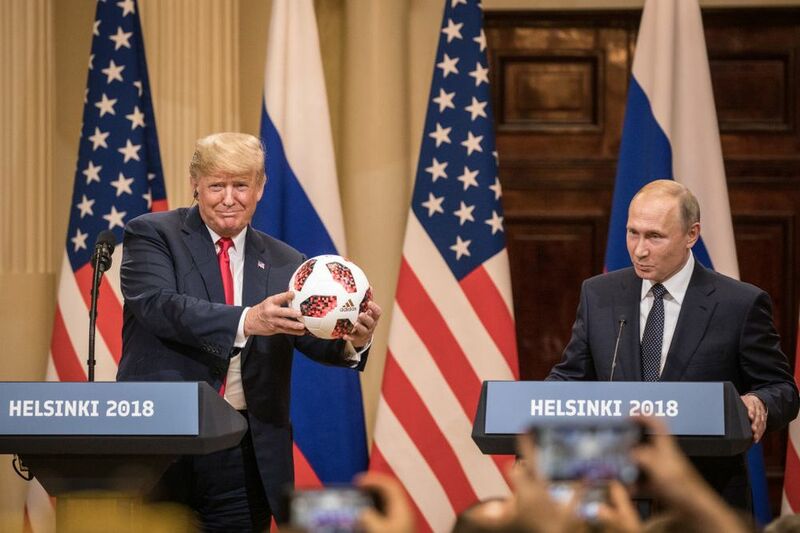 We still do not know what hold Vladimir Putin has on Donald Trump, but the whole world has now witnessed the power of its grip. Russia helped Donald Trump into the presidency, as Robert Mueller’s indictment vividly details. Putin, in his own voice, has confirmed that he wanted Trump elected. Standing alongside his benefactor, Trump denounced the special counsel investigating Russian intervention in the U.S. election—and even repudiated his own intelligence appointees. Join The Masthead, our new membership program, and get exclusive content—while supporting The Atlantic's future. Eli Lake is a Bloomberg Opinion columnist covering national security and foreign policy. He was the senior national security correspondent for the Daily Beast, and covered national security and intelligence for the Washington Times, the New York Sun and UPI. Nearly a year after Donald Trump crippled his presidency by saying there was “blame on both sides” after a scrum between white nationalists and anti-racist protesters in Virginia, he has created another Charlottesville moment. This time it was on the world stage. At the recent G-7 summit, U.S. President Donald Trump was reported to have told fellow world leaders that “Ukraine is one of the most corrupt countries in the world.” Small wonder: for years, U.S. government officials and their European counterparts have publicly castigated Ukrainefor dragging its feet on corruption. So too have Western media outlets, whose narrative often echoes the fictitious Russian talking point that Ukraine is a failing, if not failed, state. The titans of the new economy are different from their predecessors in one very important way: They aren’t job creators — at least not on a scale to match their dizzying growth in value. General Motors, at its peak in 1979, had some 618,000 employees in the United States and 853,000 worldwide. Facebook had just a few more than 25,000 employeesin 2017, up from nearly 12,700 as recently as 2015. Google’s parent corporation, Alphabet, is the third-largest company in the world by market capitalization but has only about 75,000 employees. President Donald Trump’s mastery of mass communication is unprecedented in our history. Within an hour after President Trump took the Oath of Office, he launched his first post–inauguration communication to millions of followers through his personal Twitter account. In the following weeks, Twitter would become the president’s chosen medium for projecting policy, announcing personnel movements, and settling scores with leaders both domestically and abroad. Doubling down on their legitimacy, the White House staff quickly proclaimed that the tweets served as official statements from the president. Given the authority of the president’s office and the weight of official communications, it begs the question do presidential tweets carry the full authority and legitimacy of the Office of the President? Crypto-currencies like bitcoin have recently captured the public’s imagination because they offer an exciting alternative to traditional monetary systems. Bitcoin transactions are essentially a series of puzzles stored in public on the blockchain. The puzzles used to protect bitcoin are so complex that current computer technology isn’t powerful enough to crack them. But quantum computers could crack these puzzles in coming decades. Here’s how it could happen to your bitcoin. How does the encryption behind bitcoin work? Traditional currencies rely on trusted intermediaries like banks to verify and record all monetary transactions. The crypto-currency economy instead relies on a public ledger – the blockchain, which is maintained by all honest participants of the bitcoin network. It’s the first big tech company to ask the feds to supervise how the technology is used. A view from the top: Microsoft president and chief legal officer Brad Smith wrote in a blog post Friday that the company is requesting Congress regulate AI-powered face recognition software. “There will always be debates about the details, and the details matter greatly,” says Smith. “But a world with vigorous regulation of products that are useful but potentially troubling is better than a world devoid of legal standards.” What should they regulate? Smith outlined questions he thinks officials should discuss including: Should law enforcement’s use of facial recognition be subject to human oversight and controls? The government is well-positioned to flag specific research areas that would have the biggest impact on national interests. Policymakers and technology experts said without a broad national strategy for driving artificial intelligence forward, the U.S.risks letting global competitors direct the growth of the budding industry. The Trump administration has taken a largely hands-off approach in regards to AI, arguing it’s still too early for the government to get involved in the technology and any attempts at oversight could stifle its growth. But in a panel hosted Wednesday by Politico, experts were quick to point out the difference between burdening industry with regulations and addressing the issues at hand today. 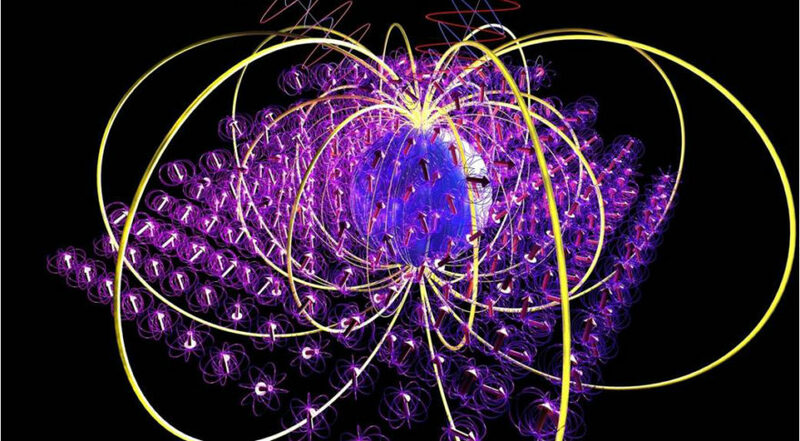 Michael Hayduk, chief of the computing and communications division at the Air Force Research Laboratory says quantum technology will be "disruptive" in areas like data security and GPS-denied navigation. WASHINGTON — Top Pentagon official Michael Griffin sat down a few weeks ago with Air Force scientists at Wright Patterson Air Force Base in Ohio to discuss the future of quantum computing in the U.S. military. Griffin, the undersecretary of defense for research and engineering, has listed quantum computers and related applications among the Pentagon’s must-do R&D investments. The F-35 still has a long way to go before it will be ready for combat. That was the parting message of Michael Gilmore, the now-retired Director of Operational Test and Evaluation, in his last annual report. The Joint Strike Fighter Program has already consumed more than $100 billion and nearly 25 years. Just to finish the basic development phase will require at least an extra $1 billion and two more years. Even with this massive investment of time and money, Gilmore told Congress, the Pentagon and the public, “the operational suitability of all variants continues to be less than desired by the Services.” Gilmore detailed a range of remaining and sometimes worsening problems with the program, including hundreds of critical performance deficiencies and maintenance problems. He also raised serious questions about whether the Air Force’s F-35A can succeed in either air-to-air or air-to-ground missions, whether the Marine Corps’ F-35B can conduct even rudimentary close air support, and whether the Navy’s F-35C is suitable to operate from aircraft carriers. Oculus, Amazon, Uber, and Google are the household names most associated with innovations in autonomous vehicles, virtual reality, and drones. John Deere? Not so much. But the agricultural industry has a long track record of acting as a testing ground for new technologies well before they’re a blip on consumers’ radar. The agricultural industry has always been an early adopter of technology. Prehistoric farmers practiced selective breeding to create the optimal traits in plants, otherwise known as genetic modification. In the early 1800s, Eli Whitney introduced a rifle made with interchangeable parts. Shortly after, farmers began adopting iron plows with interchangeable parts. While we might not immediately think of farmers as innovators, they’ve been ahead of the curve for centuries. With the attention of much of the world drawn to the Nato summit last week, the meeting between Russia's Vladimir Putin and US President Donald Trump in Helsinki and the on-going investigation into Russian interference in the US election, it is striking that the most important connection between these events has been largely overlooked. 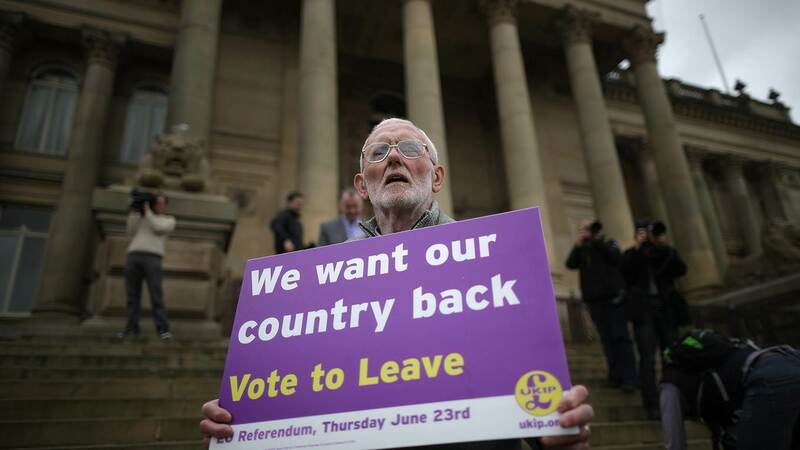 What is more, that connection has broad resonance for every region of the world, including the Middle East. It turns not on personalities or politics but on the dawning of a new era in global affairs for which all are ill-prepared. What the indictments brought by US special counsel Robert Mueller last Friday against 12 officers of the Russian military intelligence service illustrate is that for several years the US and Russia have been engaged in the world’s first major cyber war. 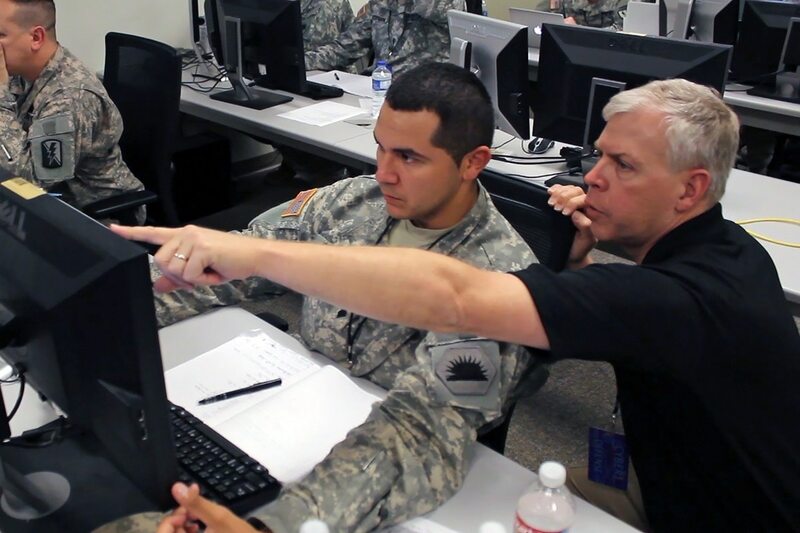 The Army recently commissioned its first two officers as part of a new pilot program to attract cyber talent from the private sector and bring them into the military ranks. As part of the pilot, mandated by Congress and stood up by the Army in late 2017, accepted applicants will enter service as first lieutenants. The program is aimed at filling a critical gap the Army has identified in some niche areas such as data scientists, computer scientists, reverse engineers and development operations engineers that typically are found in the commercial sector and academia, Brig. Gen. Neil Hersey, commandant of the Army Cyber School, told reporters during a media call July 11. Hersey described an ongoing process of selection boards to bring in new direct commissioned officers. FARNBOROUGH, UK — The Pentagon could stop awarding contracts to companies whose weapons are deemed vulnerable to cyber attacks, according to senior U.S. Defense Department officials. Today, companies are responsible for assessing whether their own products meet DoD cybersecurity standards. “Because of a couple recent events, we realized that that is not good enough,” Kevin Fahey, the assistant secretary of defense for acquisition, said Monday during a briefing at the Farnborough Air Show. In February, Deputy Defense Secretary Patrick Shanahan issued a stern warning to companies: protect your networks or risk losing business. In June, Chinese hackers allegedly stolesensitive submarine warfare information from a contractor’s computer. In September 1870, at the Battle of Sedan, the Prussian Army, led by General Helmuth von Moltke, decisively defeated the French Army of Napoleon III after an incredible feat of mobilization, deployment, and battlefield maneuver. With their army destroyed, the French struggled through a nine-month insurgency, eventually succumbing to the Prussians. The Treaty of Frankfurt ended the Franco-Prussian War, recognized the unification of German states into an empire, and saw Prussia proclaimed the dominant land power in Europe. Their success was largely a result of their institutionalization of three army educational reforms during the 1800s: tiered education, broad curriculum, and historical study. These reforms provided Prussian leadership the tools they needed for success on the battlefield and remain essential components of today’s military education systems. Every year, Global Firepower releases its list of the most powerful military forces in the world. America predictably tops the list again in 2018, and the rest of the top five is unchanged from last year. But things get more interesting further down the list. Both North and South Korea have moved several places up the list since last year, likely to do with recent military escalations in the region. It remains to be seen if the diplomatic moves towards denuclearization will affect their ranking in next year’s list. Another big mover on the list is Iran. The nation has hit the news in recent months, with the military advisor to supreme leader Ayatollah Ali Khamenei saying he is prepared for war with the U.S. and Israel. Iran’s new ranking higher up the list indicates he's been putting his money where his mouth is. This new counter-drone weapon can take down advanced drone communicators with less power, weight Current counter drone tools often use large scale blasts of power to take out the radio comms between the drone and the pilot. Current counter-drone tools often use large-scale blasts of power to take out the radio comms between the drone and the pilot. That requires a lot of battery and can jam or disrupt friendly frequencies. The Drone Killer, made by IXI Technology and displayed at this year’s Warrior East Expo by ADS, Inc., hits both of those gaps and more. John Lopardo, adjunct director with IXI, explained that the shoulder-fired weapon weighs only 7 pounds, battery included, and has a range of 500 meters. “It’s our line-of-sight solution,” Lopardo said.